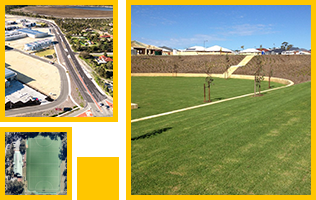 Porter Consulting Engineers has once again been selected to join the Western Australian Local Government Association (WALGA) Preferred Supplier Panel for the provision of engineering consultancy services to Local Government authorities who may then directly engage our Practice to provide civil and traffic engineering services in Western Australia. We are pleased at the continuation of this Panel arrangement as working closely with Local Government authorities is an important part of our business. The Team at Porter Consulting Engineers has a strong local government background and will continue to maintain ongoing knowledge of local government practices. It is our understanding of these practices and our commitment to providing quality and cost effective solutions that ensures local government authorities continue to engage our services and often we are able to provide expertise where Council may have a shortfall. With our specific experience we believe we provide added value to projects in ensuring all Council requirements are met or exceeded. We are able to provide a service that is either complimentary to Council or a stand alone service encompassing all aspects of their engineering needs.